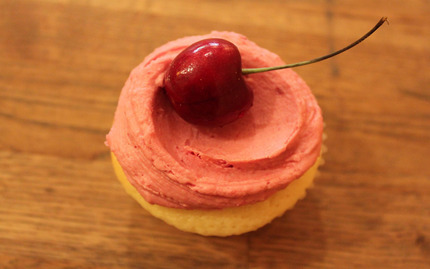 Learn how to make cupcakes the Butter Lane way! All you need to bring is yourself, your friends, and a lot of excitement, they will provide everything else. This class is designed for everyone, from the baking enthusiast, to the person who just wants to assist (and eat). You will learn all of the basics through the making of three cupcake recipes (three cakes and 3 icings). 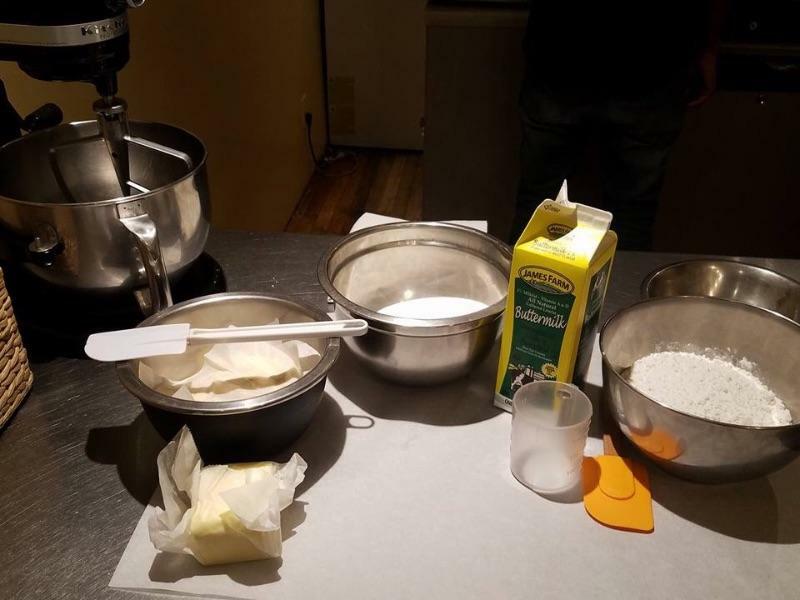 Everything from measuring and prepping to working a mixer like a professional, and perfecting the right amount of butter and sugar to make the best tasting icing, you will do. You will even make Butter Lane's three classic icings, American Chocolate, Vanilla Bean, and Cream Cheese, and have the chance to mix your own version of their famous flavors, like Raspberry, Peanut Butter or Cinnamon. Butter Lane will even show you the secret to their distinctive swirl! 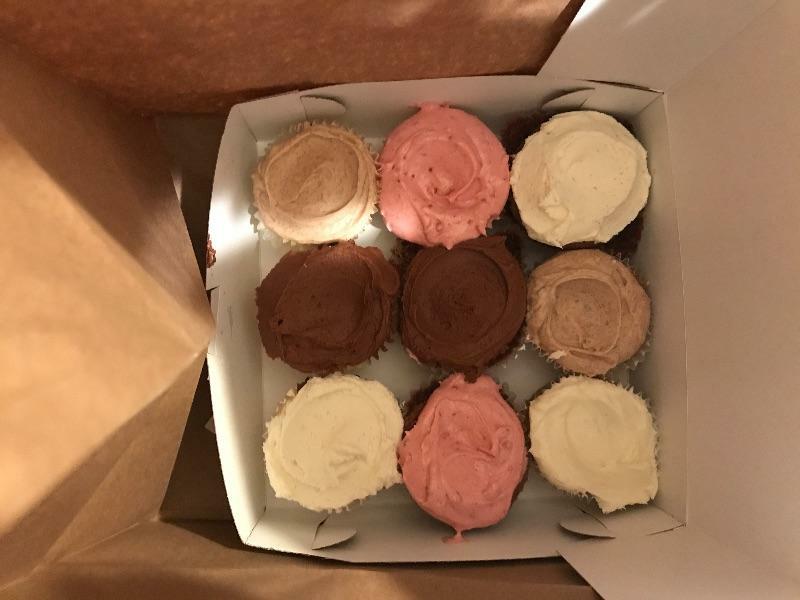 You will end up with three batches of different kinds of cupcakes and one very big smile! Rescheduling or Cancelling a class requires $10 /person fee no matter what and at least 72 hrs notice . The best part was Matt....the leader. He was fun, interesting and informative. Well done! Great class with awesome instructor who was very friendly! I have almost no experience with baking but was able to enjoy the process of making delicious cupcakes. Was so much fun! Cupcakes came out delicious! Very informative. Learned so much. Instructor made the class very entertaining. Such a great informative class and the cupcakes were fantastic. Loved our instructor, so social and fun - really made for a great experience. Had a great time. Class size and work station environment was perfect. Learned a lot about how to mix wet and dry ingredients properly. Nice variety of flavors and best part was taking a bunch home. Loved the class and all the flavors of the batter and frosting we made. Just wished the recipes were more health conscious and not as buttery and sugary tasting. Matt, the instructor, was so much fun! Great experience! So many cupcakes and a great time! Couldn't ask for anything more! Great time! Animated teacher , he loves what he does and it shows ! Awesome class! The instructor was great and I would recommend to a friend. The class was great. There were three stations with 4 people each. One station made banana cupcakes, one station made vanilla cupcakes, and one station made chocolate cupcakes. The station that made the banana cupcakes also made cream cheese and cinnamon cream cheese frosting. 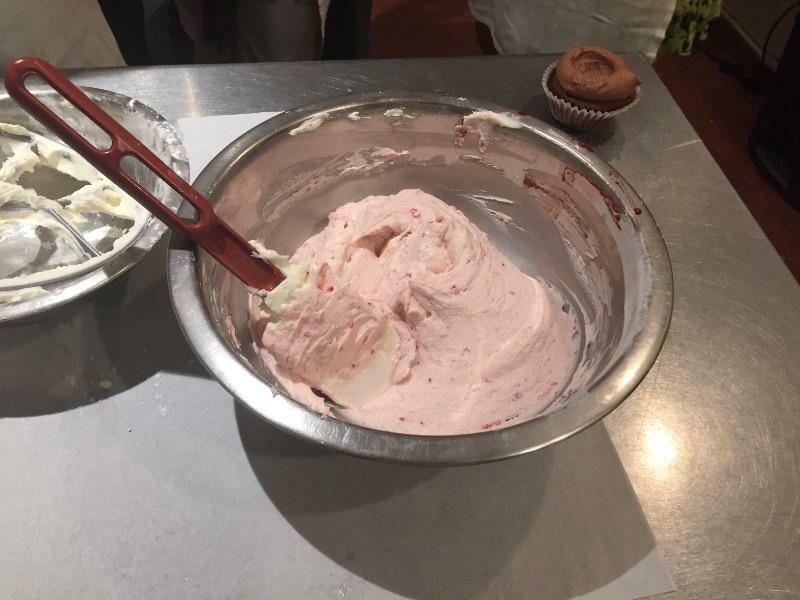 The station that made the vanilla cupcakes made vanilla bean frosting and raspberry frosting. The station that made the chocolate cupcakes made chocolate frosting and chocolate peanut butter frosting. The instructor, Sabrina, was very upbeat and very informative the whole time. Everyone got to take home nine cupcakes of all flavors and frostings. I would totally recommend this class. Even if you've never been to before, you will feel very comfortable here. It was one of the most memorable experiences I've done on a date,very fun and great atmosphere. Totally loved all the cupcakes ! We had a blast! The teacher was really friendly and down to earth and the small class meant we were able to enjoy ourselves and ask questions along the way. Great experience. Thoroughly enjoyed the class. It was fun! and the cupcakes are delicious! Great moment, we learnt a lot and the result was yummy ! Really fun activity, no experience required. Fun times, energetic teachers, halftime drinks at the bar. One of the best dates you can ever go on. I loved the instructor the most! She was very supportive and patient with students. She often asked me if i want any pictures of me making cupcakes and stuff. I would definitely come back to another class with friends! Thank you for the great experience! It was a great time! Instructor was wonderful and very patient. Very informative and helpful. Enjoyed every moment. The best part, we could eat and take him out hard work. One of the best family experiences ever! Great class. The instructor explained everything very well and was very up beat and personable. Thoroughly enjoyed it!!! I took my 13 year old niece and she was equally impressed. Thank you for the opportunity. The class was fun and interactive as well as very educational. We enjoyed the instructor the way she taught. Thank you. We enjoyed the instructor, and I particularly liked her explanations of how ingredients behave physically and chemically to yield the final result. its a cool experience, fun thing to do. Not as hands on as I would have liked. my husband and I enjoyed it. We loved it and would do it again. I took my lady for her birthday and she loved it. Small intimate class. The host was wonderful. Cupcakes came out great. We had plenty to take home. I would definitely recommend to couples looking for something new to try. Great bonding experience. Super fun activity to hang out with friends. We had a really great time. It was my boyfriends birthday and it was a great date night! The teaching staff was great and the experience was a lot of fun! Had a great experience. Fun class, great instructors and lots of delicious cupcakes to take home. Excellent instructor, very knowledgeable, and super friendly. 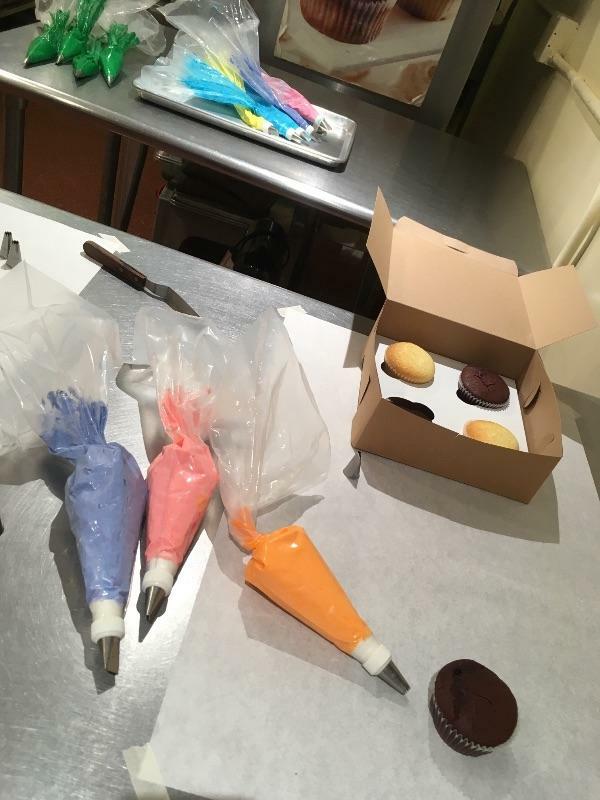 If you love cupcakes, this is the class for you! The teacher was really good. However, it felt like there was not enough to do for four people at one table and the teacher did some activities that looked as though we could have done them. The best part of the class was the instructor. She instituted a comfortable environment, which enabled a level of comfort to ask questions. Additionally, she is extremely knowledgeable in baking and she demonstrated this through her explanations. I learned a lot and had fun while learning, a perfect combination! Lastly, I liked being able to take two of each flavor cupcake home, great bonus! The instructor was very informative, patient and seemed genuinely eager to teach. Had a wonderful evening learning with her! I will be practicing my 'butter lane' frosting moves. 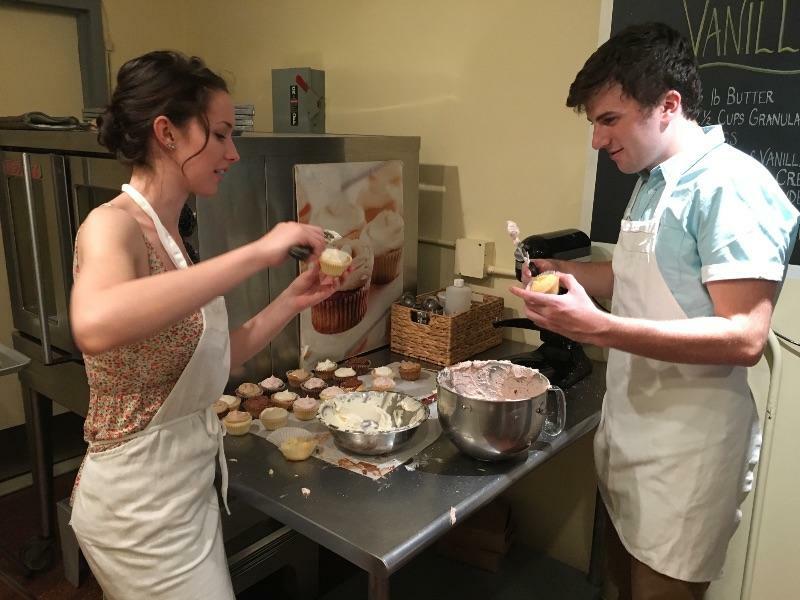 The cupcake class was a lot of fun for my boyfriend and I! The teacher was knowledgeable about the chemistry behind the baking experience, full of smiles and humor, and very helpful and sweet. Our class enjoyed getting to try several different kinds of batter and frosting, and the finished work was both pretty, and delicious! I really enjoyed the class. I found the bakery to be quaint and inviting and the staff to be warm and welcoming. The class i took was extremely fun and interactive. The instructor, Rebeca, was VERY good. She had a very sweet personality and made sure that she thoroughly explained each and every step in the process of making the cupcakes and icing. I was really impressed with how hands on the course was. As a a first time student in a cooking/baking course, I had so much fun and felt like I really learned something useful. I will definitely jump in and take another course of this type. i HIGHLY recommend Butter Lane for their cupcake classes AND for their delicious cupcakes too! I thought the class was pretty fun. It was helpful that the people there were pretty carefree. They even let us taste a few frostings they are popular for. The way they teach you how to make frosting is definitely a lot less intimidating than what you find on line. The class was definitely fun -- we made a ton of cup cakes and got to take home 9 each -- all with different cake flavors and frostings. Though, I'd say it was less educational then some other cooking classes I've taken and more guiding you through the motions. But still definitely a fun activity! Class was fun and the instructor was a trained chef. She was very knowledgeable and funny. The other participants were friendly and we went home with 8 cupcakes. I would definitely recommend this activity. Had an awesome time!! Will definitely refer friends. 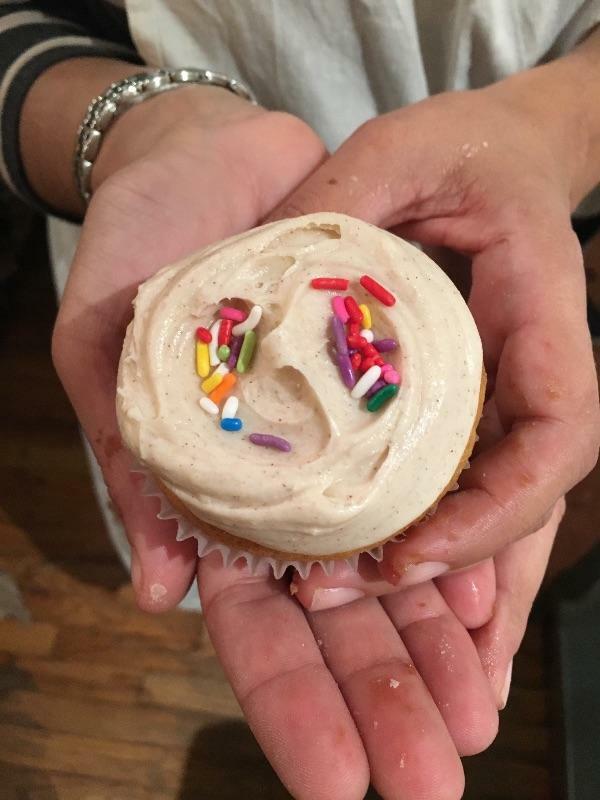 My boyfriend surprised me with a couples cupcake baking night here and we LOVED it! The instructor was super knowledgeable and the cupcakes were delicious. I will definitely be having my birthday (or some other event) here with friends :) Plus there is a nice little park nearby that you can walk to afterwards for an evening stroll. 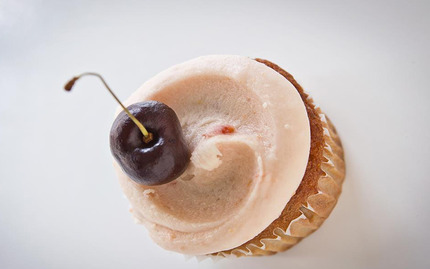 I have to confess that I don't really like Butter Lane cupcakes all that much. 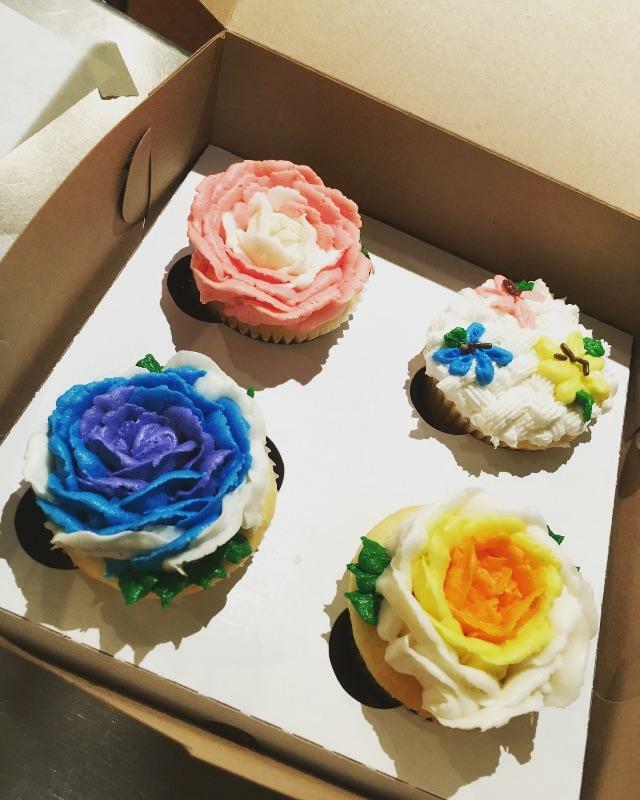 I've definitely had better before, so I was surprised that so many people actually liked these cupcakes. The fact that they offer frosting shots for free was kind of gross. Their filled cupcakes are too sweet for me, though others seemed to like it. Their frosting is also way too sweet and thick and is a complete sugar overload. However, I did take their cupcake baking and frosting class (they host classes next door) and had a really great time doing so! The class was really fun and well taught. My friends and I frosted and took home four cupcakes each. The shop itself is really cute! Cupcake lovers dream! 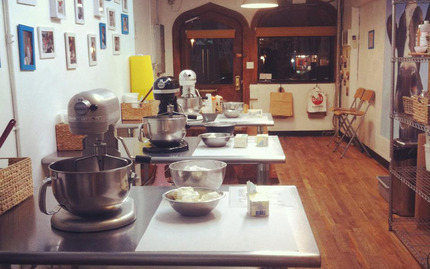 I have taken several cupcake classes here. Once with some girlfriends and once with my mother in law. FUN. 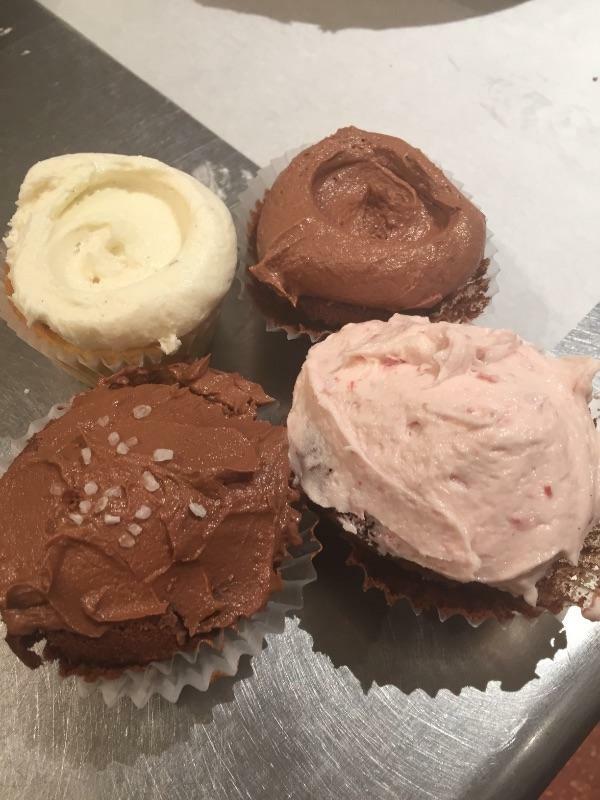 And you walk away with butter lane's tasty treats - anywhere from 4 cupcakes (which is what they promise you) to more if there are leftovers. During the class you learn the secret to butter lanes cupcake recipe ALONG with their icing ins and outs. I definitely recommend this as it's comprehensive and you get a enough for your money. The first instructor that we had was wonderful - laughing and having a good time with all of us. The second instructor that we had just two weeks ago (right after thanksgiving) was a little too serious and stuffy for a class full of giddy ladies (and one man). I mean... what's more fun than cupcakes?! I took the cupcake baking class and I thought it was fun. I love to bake, so it was enjoyable for me. I can't say they taught me anything I didn't already know, except for how to make butter cream frosting ( yummy) but it was enjoyable to bake with my friends. I was hoping to use a frosting bag to ice the cupcakes, but we used spatulas. They gave me good tips on flavoring frosting too.The price wasn't too bad, but i think it could've been a little less because they didn't teach any unique skills. I hope this review will help them modify the classes. Took a really fun cupcake making class on a Saturday afternoon. It was pretty casual. It wasn't anything near a professional baking class, but it was perfect for a Saturday afternoon with a friend.